The Future of Health policy forum will explore how person-centred care can become the new normal. Ministers from over thirty five OECD and partner countries will convene at the OECD headquarters in Paris to exchange their ideas, ambitions and challenges for The Next Generation of Health Reforms. 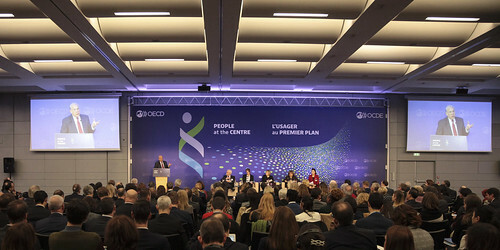 On 16-17 January 2017 the OECD hosted a meeting for Ministers of Health and a High-Level Policy Forum on people-centred care, at OECD Headquarters in Paris. On the 16th January 2017 the High-Level Policy Forum explored how people-centred care can become the new normal in health systems. Participants and expert speakers from a range of backgrounds discussed practical ways to embed a people-centred approach into health systems. Ministers also agreed on future priorities for the work of the OECD’s Health Committee.